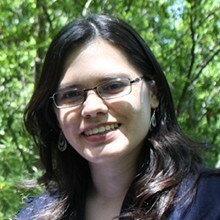 Elizabeth “Liz” Vera is the Project Manager for the Ependymoma Outcomes Project and Tissue Correlates Study at MD Anderson Cancer Center. Liz has been working closely with Terri Armstrong, Ph.D., A.N.P-B.C., creator of the Ependymoma Outcomes Project and co-leader along with Kenneth Aldape, M.D. of the Tissue Correlates Study, on both of these endeavors. A native Texan, Liz graduated from Southwestern University in 2003 with a Bachelor’s degree in Psychology and went on to complete a Master’s degree in Statistics in 2009, at the University of Houston-Clear Lake. Liz is very passionate about her work and excited about what has been accomplished in such a short amount of time through the efforts of the CERN Foundation. On her days off, she enjoys spending time with her husband of six years and volunteering for Relay for Life and at her local public libraries. Through the efforts of Liz and her colleagues, other important projects are also being developed as a result of the information gleaned from the EO Project. “Catering to what we learned about patients through the EO Project is extremely important to us.” Liz said. The Ependymoma Outcomes Project has over 150 patients enrolled and a similar project has also been developed for the pediatric patient population. In addition to managing the EO Project, Liz is responsible for overseeing the Tissue Correlates Study under Terri Armstrong and Kenneth Aldape’s leadership. The Tissue Correlates Study is aimed at finding prognostic factors to help predict recurrence, as well as the nature of an individual’s tumor. The eventual goal is to help create an avenue to personalize medicine in patients diagnosed with an ependymoma. Liz’s role in this multi-center effort is to collect patient history and clinical data to be later analyzed by the scientists and clinicians of the CERN Foundation. To date we have collected over 250 tissue samples from 11 different medical sites and continue to support this effort through our research teams. When we asked Liz about her experience working with the CERN Foundation team members, she had this to say, “I have really enjoyed working with Terri over the last 4 years. Her caring personality shines through in all that she does both for the EO Project and direct patient care. She and the other members of the CERN Foundation are very aware and interested in the needs of patients. They are making huge strides in improving the quality of life for patients diagnosed with ependymoma.” With the help of CERN Foundation Members like Liz, we hope not only to help patients fight their cancer, but to live the best life possible while doing so.